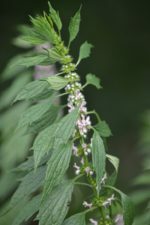 Common Mugwort is aromatic bitter which increases digestion, mildly stimulating to the nervous system, reduces tension and increases circulation. You can use it to induce menstrual flow. Used as a culinary herb and medicinally throughout the world. Use only the leaves and buds from the plant. 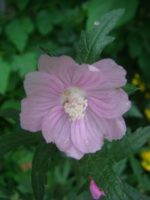 Best time to pick is shortly before it flowers in July to September. Exhaustion, restless, poor appetite, constipation, straining to urinate, painful menstrual cramps, weak, sensitive women, Uterus issues, profuse menstrual bleeding, PMS. Cold hands/feet, week pulse, hypertension, profuse and offensive sweating, injuries to nerves, marijuana use and abuse, opium use and abuse. After harvesting the herb, let it dry. Pour 1 cup boiling water over 1-2 tsp of your herbs. Infuse in a closed vessel for 10-15 min. Use up to 3x’s per day. The leaves have mild hallucinogenic properties and can be smoked for a dreamy, relaxed effect. In other words, it relaxes you when you sleep, you have colorful and/or weird dreams. 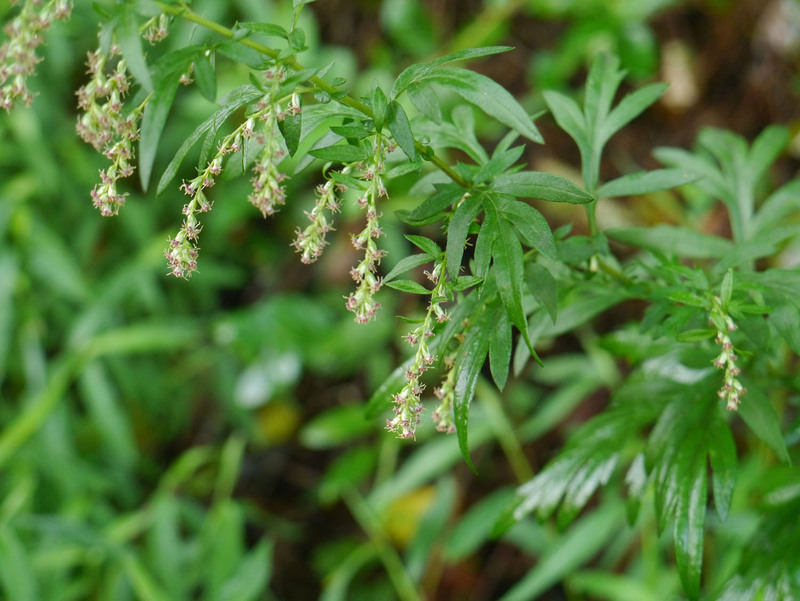 Therefore pregnant women must not use Mugwort or be in any contact with it.